Ria Loves Pawlish: May 10, 2012 Ulta Haul! 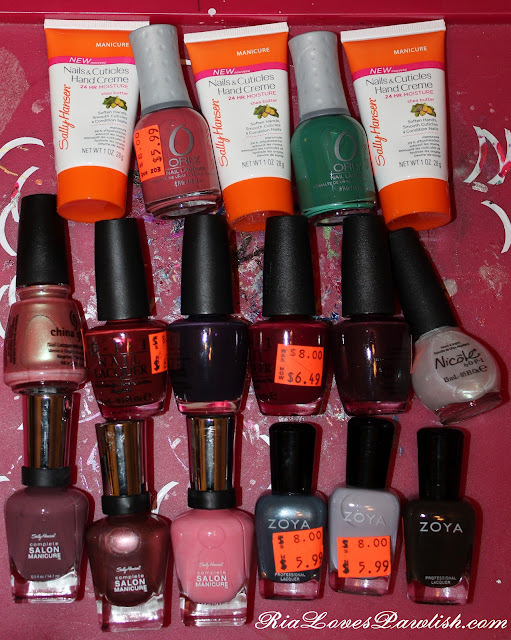 May 10, 2012 Ulta Haul! I LOVE their clearance bins! So many great polishes! me, too! i've never found better deals anywhere else, especially since you can use coupons with clearance! May 28, 2012 Ulta Haul! Civilian Nails Of The Week... Kacie! So, Ria... Why Do You Use Pure Acetone? Peek In My Nail Essentials Bag!